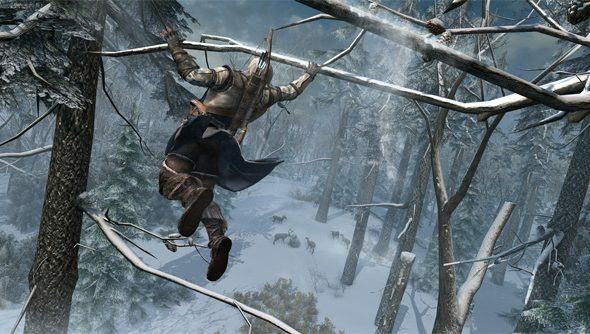 Historical stabbing and jumping around simulator Assassin’s Creed 3 has just received an official, honest-to-god PC release date of November 23. That’s only three weeks after the game launches on Xbox and Playstation which, in the grand scheme of Assassin’s Creed PC tardiness, is a fairly quick turnaround for the latest in the series. We’ll take that. Assassin’s Creed 3’s release date had previously been spotted on a bit of leaked promo art last month, though news of its November 23 arrival now comes from the official mouths and throatsof Ubisoft themselves. The sequel is looking damned impressive, with Ubisoft claiming it to be the biggest project they’ve ever worked on.